In the midst of sneezing, coughing, combating watery eyes and still going about your daily routine, it can be tough to remember all of the natural ways to prevent and relieve your allergy symptoms. Yet the good news is that during the height of allergy season, if you only remember one thing - it's to purify your air! If you can remember the importance of air purification when you start to feel the onset of allergies, you'll feel more comfortable in no time. Purifying the air in your home is the No. 1 natural way to ward off a whole host of allergens. It's the most effective way for relieving you symptoms and bringing you soothing comfort right when you need it. Combating pet dander, dust mites and airborne pollen is tough when the same old stale air is drifting through your home's interior. However, by using an air purifier in your home, you can eliminate the majority of debris that float through the air. Moreover, finding a HEPA air purifier with advanced filtration technology can help to remove up to 99 percent of particles from your indoor air. The Holmes® Mini-Tower Air Purifier with HEPA-Type Filter even works to prevent particles as small as 2 microns from passing through the filter! With its slender but sleek design, this air purifier is perfect for living rooms, bedrooms and other family areas. It's the ideal, natural way to improve the air quality in your home-environment. 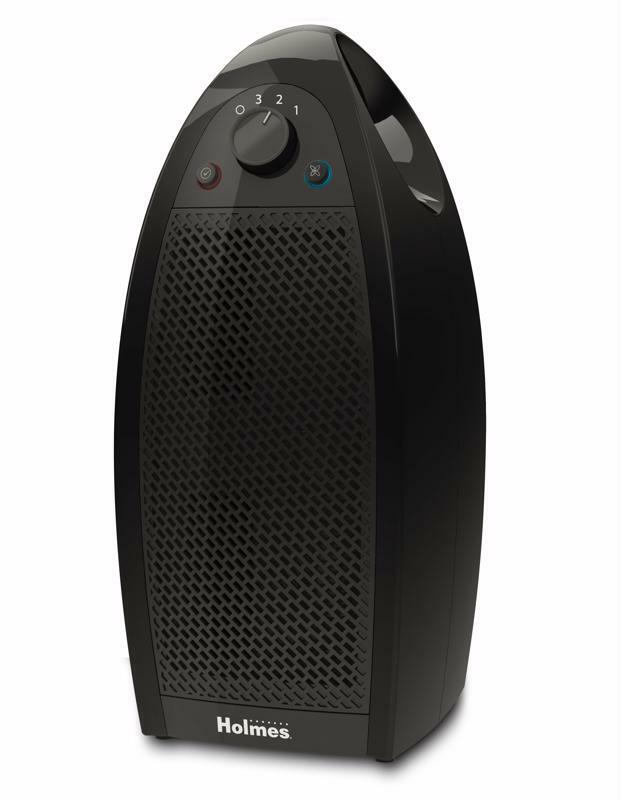 The Holmes® Mini-Tower Air Purifier with HEPA-Type Filter is one of the No.1 ways to relieve allergy symptoms. Prevention is the best medicine when it comes to avoiding allergens in the first place. Whether it's dust, mold, pet dander or pollen that affects you the most, be sure to avoid contact as much as possible. If there are pets in your home, do not let them into your bedroom at any time. Clean and vacuum frequently to prevent dust from building up on shelves, bookcases and tabletops. When cleaning though, be sure to wear a mask to avoid breathing in an excess of debris. If it's pollen that irritates you the most, follow precautions during the allergy season. Avoid spending too much time outdoors when pollen counts are high. Keep home and car windows closed to avoid pollen blowing in. If you do go outside, don't leave the house without a hat and sunglasses and be sure to wash your hands and clothing after coming indoors. 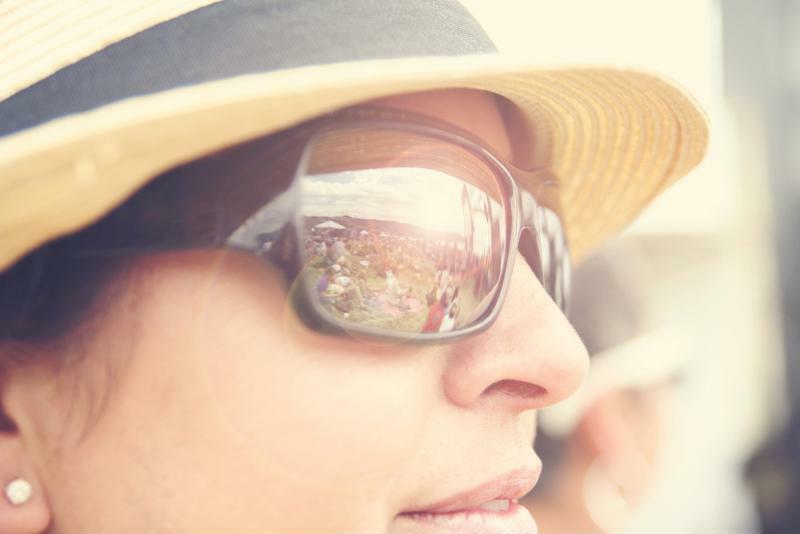 Stay protected from pollen with a hat and sunglasses while outdoors. Believe it or not, what you eat may play a role in the way your body reacts to certain allergens. If you've continuously experienced allergy symptoms, try altering your diet. What's more, there are certain spices, teas and foods that may help ease your stuffy nose. Honey, apple cider vinegar and the cooking spice turmeric have all been found to aid in relief. Turmeric and other similar spices act as a natural decongestant to clear up sinuses and may help to ward off future colds. Drinking a warm cup of herbal tea may help to soothe your allergy symptoms as well. Contrary to popular belief, Neti Pots aren't just for young children. In fact, they've been known to bring relief to many grown adults living with constant allergy symptoms. Simply pour a pre-made sterile saline rinse into the Neti Pot, pour it into one nostril and allow it to drain out through the other. The solution should flush out your sinuses to get rid of all allergens. You can also make your own solution by combining 1 teaspoon of sea salt with boiling distilled water. Allow the mixture to cool completely before pouring it into your pot. You've likely heard this time and time again, but proper rest and sleep and consuming enough fluids are key for staying healthy. Getting quality sleep each night helps your body recover and recharge so that your immune system is on top of its game. Stay hydrated by drinking plenty of water each day. These practices are even more important when your allergies flare up. Ensuring that you're getting a good night's sleep and drinking plenty of water are two natural and efficient ways to promote comfortable relief.